Summer is the most loved season of the year because it’s vacation time from school so it’s perfect take a break and spend quality time with family. We are sure everyone is excited about planning out a vacation with family and friends. 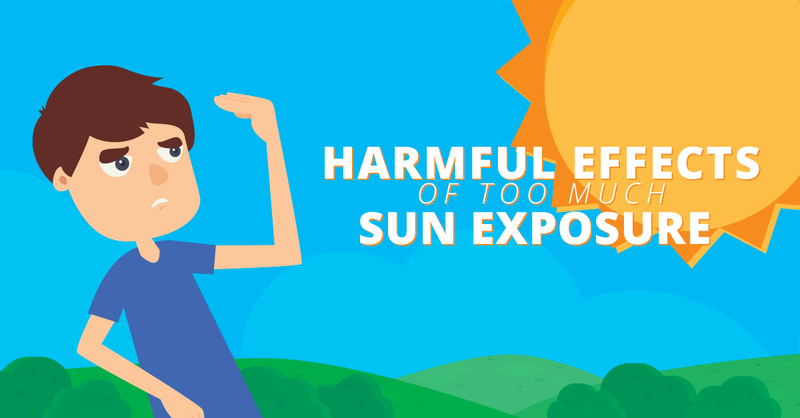 But above all, you need to understand the pros and cons of sun exposure. Sunlight is a good source of Vitamin D which helps the body absorb calcium for stronger bones. You may get a sufficient amount of Vitamin D by basking in the sun from 7:00 to 8:30 in the morning, for 15 minutes. Aside from Vitamin D, getting a good sun also helps you feel energized, relaxed, sets your mood and prevents depression. At noon, when the sun is at its highest point, and you have to be outside for long, make sure to use sunscreen lotion and wear protective gears such as hat, sunglasses, umbrella or coverups. This prevents you from having a heat stroke, heat rash, sunburn, damaging your eyes and lessening the risk of skin cancer. Heat stroke may be fatal if symptoms are ignored. The Philippine Atmospheric Geophysical and Astronomical Services (PAGASA) advise the public to stay indoors and drink plenty of water regularly to avoid heat stroke. Protecting your skin against harmful sun rays as early as possible may decrease the chance of developing skin cancer. Despite constant reminders about sun damage, people still choose to stay under the heat even without protection just to have that perfect tan lines and tanned skin thinking it’s more attractive. Sunburn shows that your skin has been overexposed to ultraviolet rays of the sun which translates to DNA damage. Overtime, DNA damage can cause skin cancer. Take care of your skin by keeping it glowing and healthy. With all the harmful effects of too much sun exposure and no matter how you strive hard to live healthily and want to achieve a cancer-free skin, health problems will still arise. Make things easier and more convenient for you by securing health and comprehensive insurance plans for your future needs. Don’t wait until you get sick before you take action. Enjoy the sun and get the most out of your summer while keeping your health on track over the summer months.